The autumn half term is upon us and with the Great British weather reacting in it’s typical gloomy way, it’s time to start thinking of some activities to do indoors. From cooking, crafts and Halloween themed projects, we have five fabulously fun activities to do in the warmth of your home this half term. 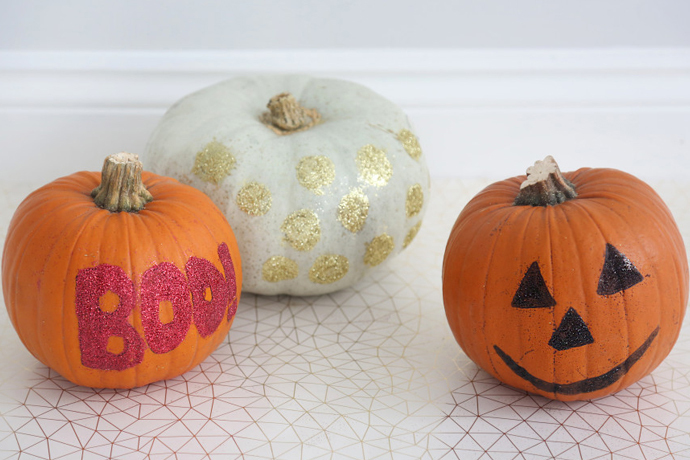 Last October we showed you how to make these fun glittery pumpkins for Halloween, with no knives or carving involved they’re much safer for young children to create and look just as spook-tacular. For how to make them CLICK HERE and follow the instructions on the blog. Don’t forget to tag us on Instagram picture if you make them! Traditionally a Halloween party game this is a fun activity that children will enjoy. 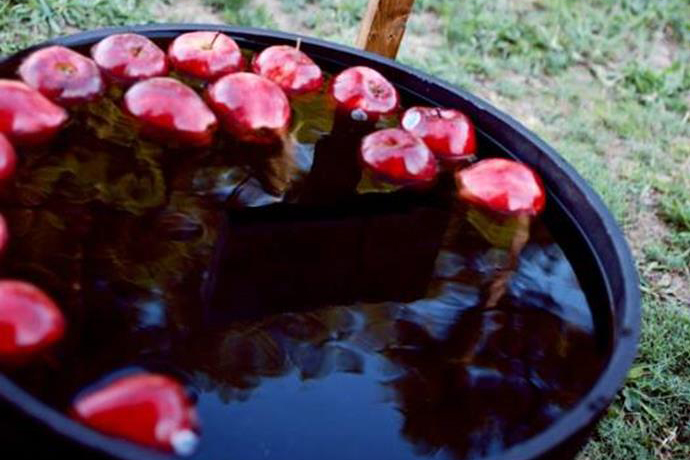 Get a group of your little one’s friends over, fill a tub with water, drop in some apples and have the children try and get them out using only their mouths – the person with the most apples at the end wins! It’ll leave the little one’s with wet faces, but huge smiles. 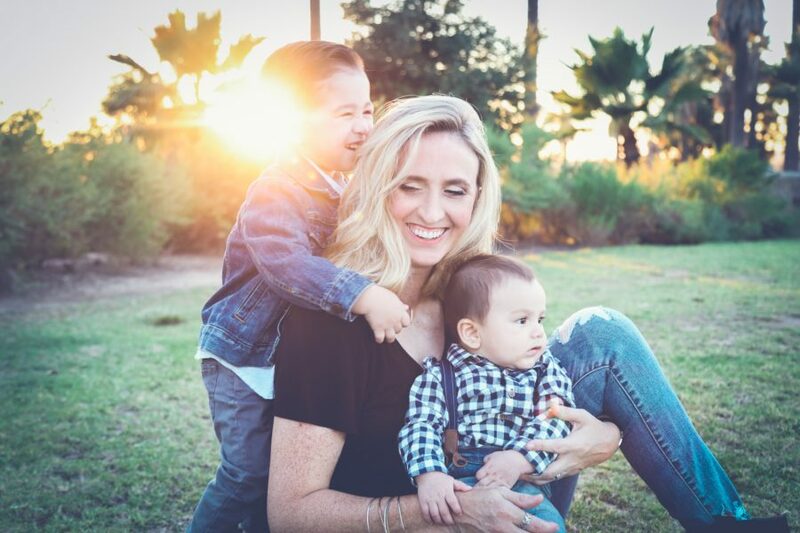 Whether you invite over their cousins or best friends a sleepover is a super-fun activity for children. 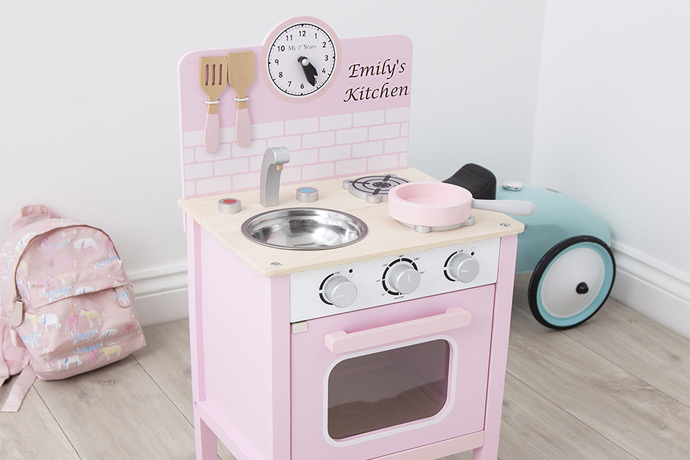 Get them all cosy in their pj’s and dressing gowns and let them share stories and games with each other all evening. 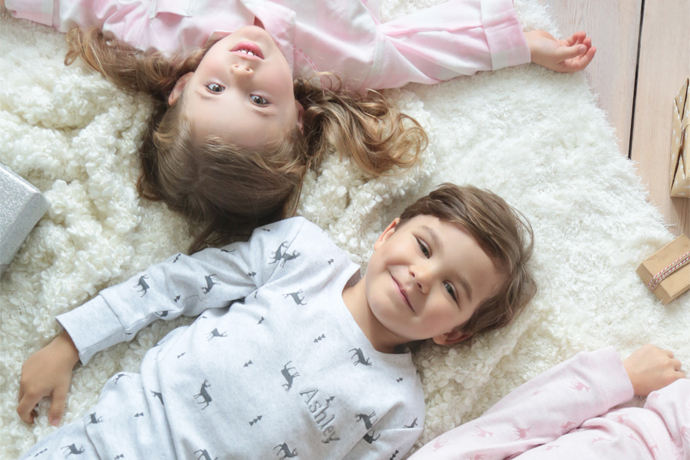 Remember our PJs are perfect for sleepovers and come with free personalisation! Everyone loves Pizzas and when making them is so easy why not? 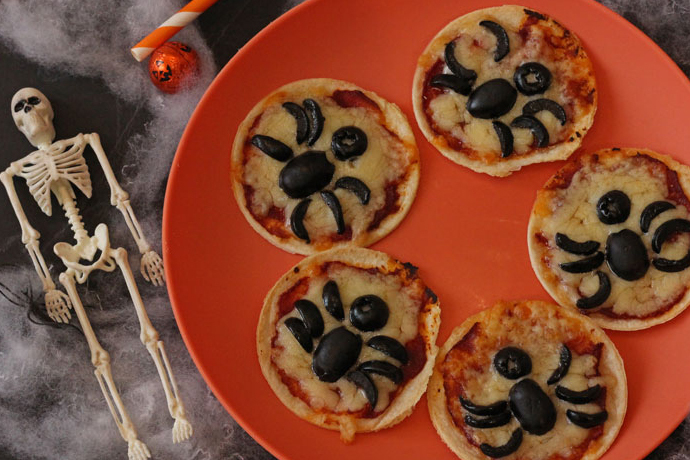 Blogger, Ciara, from My Fussy Eater has shared her top halloween snack ideas with us here, and we think these spider pizzas are so simple even tiny tots can help. Simple to do yet looks so good, this spider web art is really fun for young children. 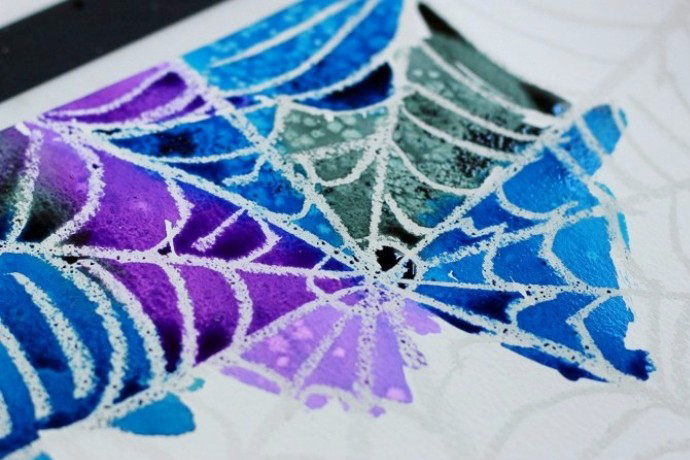 All you need is to use a white wax crayon to draw a spider web design or maybe even a ghost and use spookily dark watercolour paint to reveal what you’ve designed. 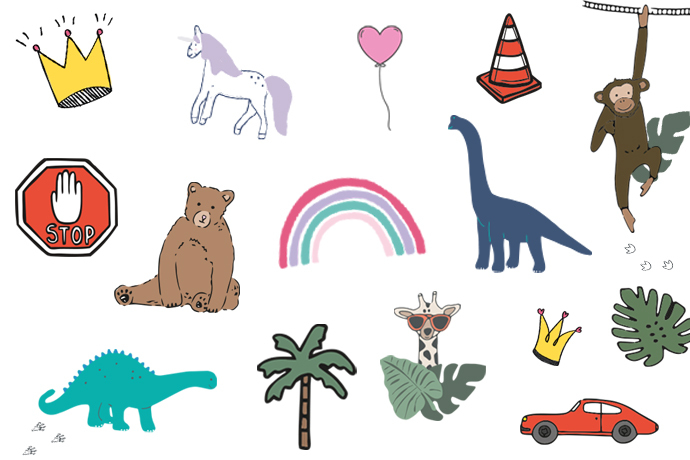 Children will love seeing their drawings slowly appeared as if by magic with the paint. Put them up on the walls as a haunting halloween decoration.